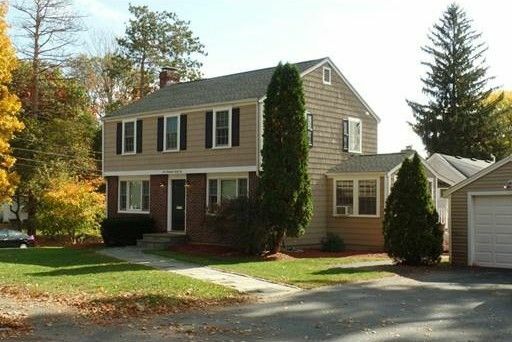 Have you been dreaming of that charming colonial that you can move right into for the holidays - look no longer! Here's your opportunity. This home has been tastefully renovated and updated with solid wood interior doors, gleaming hardwood floors added upstairs, fresh paint in most rooms, new furnace and hot water heater replaced in 2012.. Conveniently located in the heart of the center. You will find an over-sized master bedroom, new bathrooms on both levels, most windows replaced and energy efficient on demand Gas boiler. The property is pre-plumbed for central air conditioning! There is a detached one car garage and covered patio grill area along with a private back yard. Ample parking and move in ready. Directions: Winter Street to Maple or Franklin Street to Maple. Across from State street.